Any one know if there is an option to install a 2nd hydraulic pump to an F model Aztec-(has the only pump on the left engine)? My maintenance shop tells me there used to be an option through Piper to install one on the right engine; and also Sierra Industries had an electric backup hydraulic pump. Neither are available. What's the serial number of your Aztec??? Hi Steve: the serial # is 27-7654012. I purchased the airplane in March 2017. It's been a total train wreck. The plane has been in maintenance since April. FYI, I reached out to Diamond Aire who has an electric back up hydraulic pump system, which I'm pursuing. 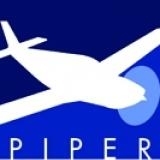 My contact at Piper said their kit is no longer available. I know you already checked that but I have to "trust but verify"
Pls. let me know if the Diamond Air option works. Steve, the mx shop here at KDPA also determined the Piper RE hydraulic pump option is not available. I'll let you know how the Diamond Aire option works. John at Diamond Aire explained his is light weight, easier to install than the Piper option was, operates automatically to assist when you bring the gear up (speeds up the wheels up timing, which is a plus), and if you need it for gear down, you hold in a button and put the gear lever down. Steve, finally installed the electric backup hydraulic pump from Diamond Aire. Works great. The pump automatically engages to assist the left engine driven pump on "gear up", bringing the wheels into the well much quicker; and available for gear down if needed (due to loss of the left engine pump) by pressing a button on the panel.